Dr. McCormack is a Professor in the Department of Orthopaedics at the University of British Columbia. His clinical practice focuses on knee and shoulder injuries with subspecialty interest, and research activities, in the area of articular cartilage regeneration and ligament reconstruction. He is active in sports medicine and cares for athletes at the university, national and professional levels. This includes the varsity athletes at three universities (in both U Sports and the NCAA). At the professional level Dr. McCormack is the head physician for the BC Lions (CFL), is the Orthopaedic Surgeon for the Vancouver Whitecaps FC (MLS) and works as a consultant for the NHL/NHLPA. He is a physician for several national teams, in both summer and winter sports and has been part of the medical team at numerous international multi-sport events (including ten Olympic Games). 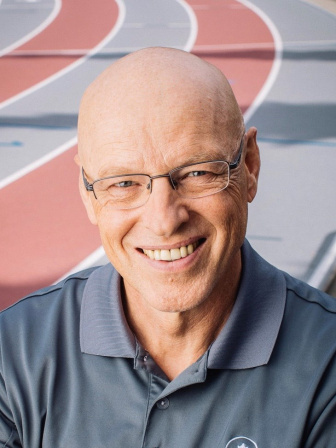 He has been the head physician for the Canadian Olympic team since 2004, most recently was the Chief Medical Officer at the 2018 Olympic Winter Games in Korea. Between Games he is the Medical Director for the Canadian Olympic Committee and on the PASO medical commission, for the Pan Am Games. In his research role Dr. McCormack is the Director of the Simon Fraser Orthopaedic Research Foundation, which concentrates on prospective randomized trials in Orthopaedics. He was also one of the founders of the COTS and JOINTS groups for multicenter Canadian research.